Please note that deleting your account is only possible on a desktop computer while being logged in to Stackfield! The account can be deleted in the user account settings. 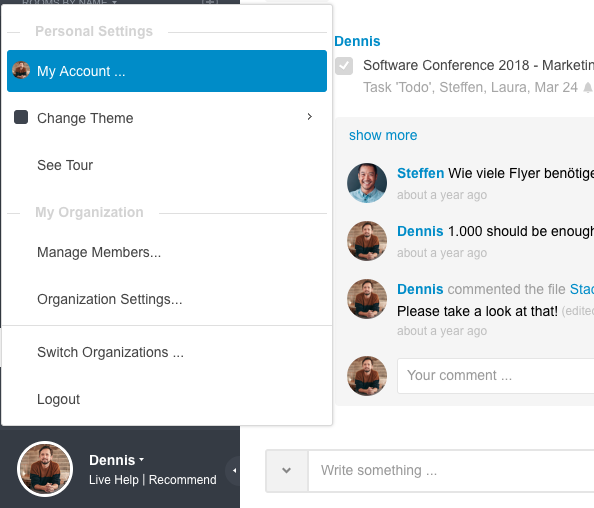 These can be accessed by clicking on your own profile picture in the lower left corner and then selecting the option "My Account ...". Within your account settings, there is a button next to the heading "Edit Your Profile", represented by three dots in a circle, through which the option "Delete your account forever?" can be selected. Using the option "Delete your account forever?" 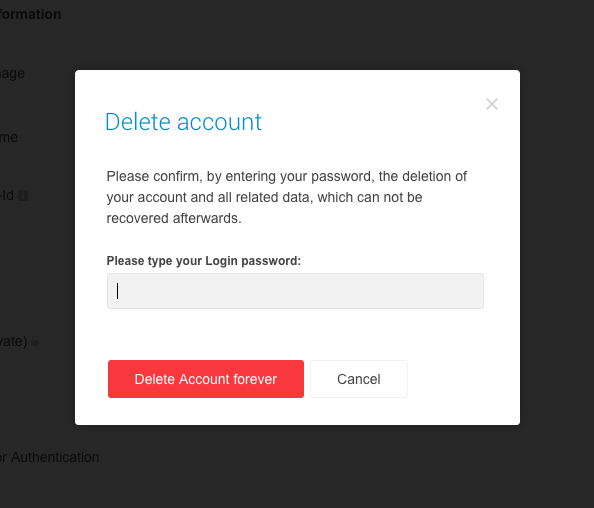 After this option has been selected, a password prompt will appear with which the account will be deleted after clicking on "Delete account forever". 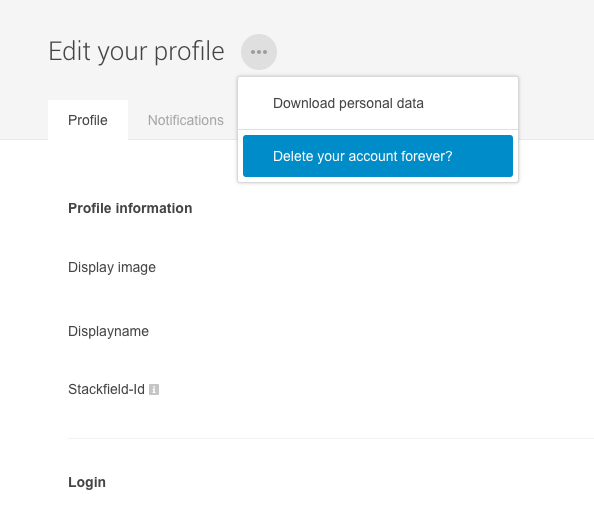 This will permanently remove any data uploaded to your Stackfield account and will not be recovered afterwards. The data uploaded to the organization will remain accessible as those are part of your company's data.